Ben Corbin is an agent for the CIA. Corbin was the son of a strict missionary who chose to bring Christianity to the Korean "heathens". After Corbin fell in love with a Korean girl, though, he was sent back to America to attend divinity school. Rebelling, he joined the American Army instead and, during the Second World War, served in the European theater. Back in Korea, his parents died beneath the swords of the invading Japanese. Returning home after the war, Corbin is there to take part in the Korean War, both as an American sergeant and as a citizen of the Republic of Korea. He is allowed to create a private army with the title of the Invader Security Force with the instruction to fight the fight that the U.N. forces were prohibited in fighting, using techniques that were far from normal. It was while with this force that Corbin again met the beautiful Ajah and with the parents on both sides now gone, the two are married. 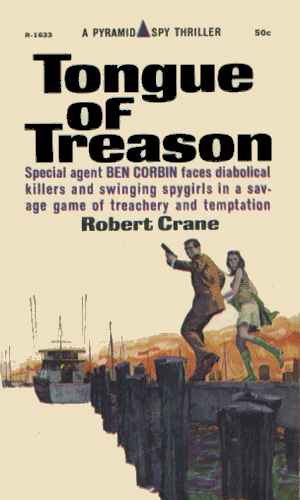 This marriage also sealed Corbin's attachment to his homeland and set the scene for his service to both the CIA and the ROK Secret Service. Corbin is driven by two major compulsions; his love of Korea and his very mixed feelings about his father. The affiliation with the country of his birth is incredibly strong in the first two books and then lessens with the remaining books, possibly because of what transpires with his wife. The fixation on his father never changes. In virtually every major event that might trigger an emotional response, that response comes with remembrance of something his father said or did. It is always with a passage from the Bible Corbin was forced to memorize and frequently with the recollection of a beating. As the stories go on, the focus of his fixations change to a matter of revenge but the intensity never wavers. The last book in the series really does not belong with the others even though it is the same character. 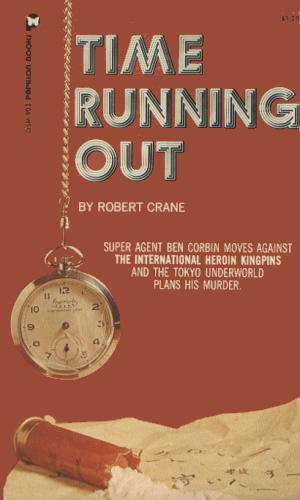 With apparently a new publisher, Crane brings back Ben Corbin after a 13 year hiatus by taking the case found in Operation Vengeance, dusting it off, and retelling it. The dusting-off certainly results in some major cleaning, however. Suddenly, Corbin's father was a missionary to Japan instead of Korea. Corbin was born and raised in Japan, not Korea. His allegiance is to the U.S., not to Korea. His time in the military is spent in Vietnam in the mid 60's, not Korea in the early 50's. Other than those small items, it is the same story with the same characters. The writing style is faster, the action harder, and the women more lustful. This is not a spy story. 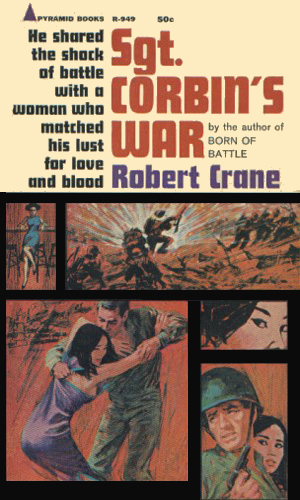 It is a gritty, well crafted tale of war. It tells the history of Ben Corbin and it does so in a totally believable way. The war is real to the author and is made real to the reader. The events take place during the closing months of the Korean War. Sgt. Corbin is instructed to form the Invader Security Force and to take the guerilla war to the enemy, which the team does with vigor. In America, she was Helen Min, a Korean instructor teaching diplomats that language. In Korea, she was Min Kilja, granddaughter of the last empress. 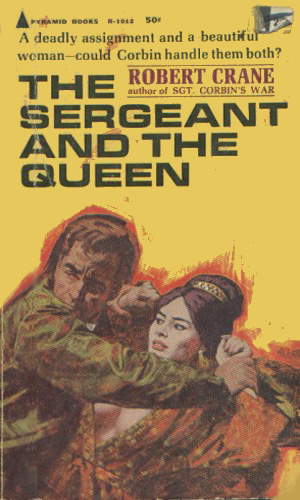 Corbin's Korean boss, General Pak, had a plan to reunite the two Koreas through her. Corbin's job was to fetch her safely. Corbin is now billed aa largely a CIA operative with Korean ties. Heroin is being smuggled into Japan through Korea by Chinese Communists. Colonel Shapiro of the CIA in Korea sends Corbin into Japan to track down the culprits. This gives Corbin a chance to find out who attacked his wife and put her into a coma. Able to break up the heroin ring in Japan, Corbin still feels unsatisfied because the assailant of Ajah has escaped to Hawaii. 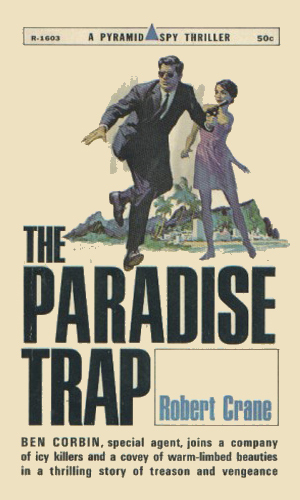 With the approval of Shapiro, Corbin takes his vengeance on the road and follows the heroin trail to the paradise state. The man Corbin wants to kill more than anything else in his life has escaped again and fled to the region of Monterey. The smuggling ring is still Corbin's official goal even as he seeks Ajah's attacker. He needs the assistance of a brunette who has strange tastes and a blonde who hates even harder than she loves. 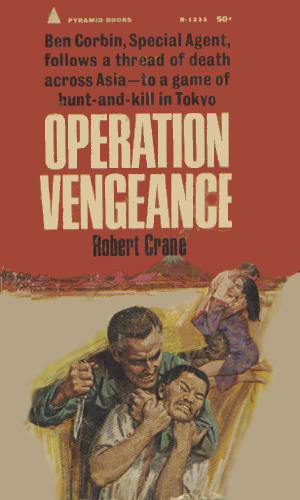 This is a retelling of the book Operation Vengeance but modified to make it more uptodate. Crane's use of his favorite character, Corbin, is rather interesting and shows really two distinct periods. In the first two books he is firmly grounded in Korea, working for the freedom of the Korean people. He is foremost a soldier. Suddenly, with the coming of the third book, he changes to an agent of both the CIA and personal vengeance. The government wants to close a drug pipeline. Corbin wants to avenge his wife's attack. I preferred the first stage of soldier. The first book is really very, very good. Gritty, violent, and realistic. If I graded individual books, I would give this one a solid A. The rest, not so much. After the first the series drops off and never comes close to the skill and authenticity of the first. But the first is recommended to everyone strongly. The last is not recommended at all.